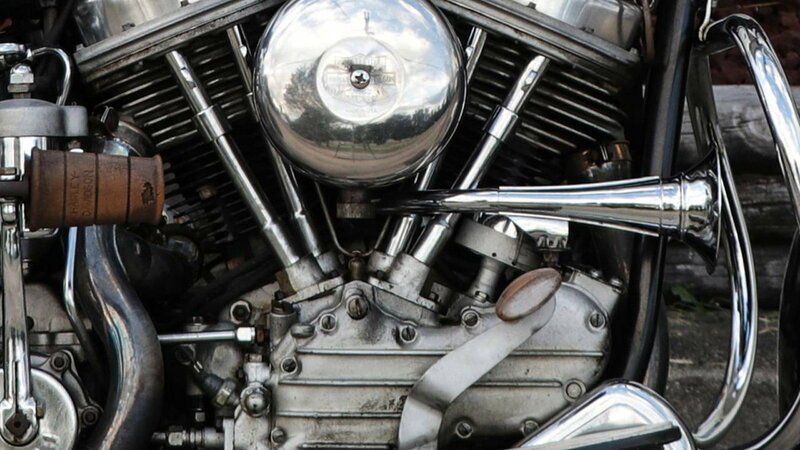 Daily Slideshow: The Panhead-powered Duo-Glide was the heavyweight champ of the highway. In 1964, the Duo-Glide was the top touring motorcycle. 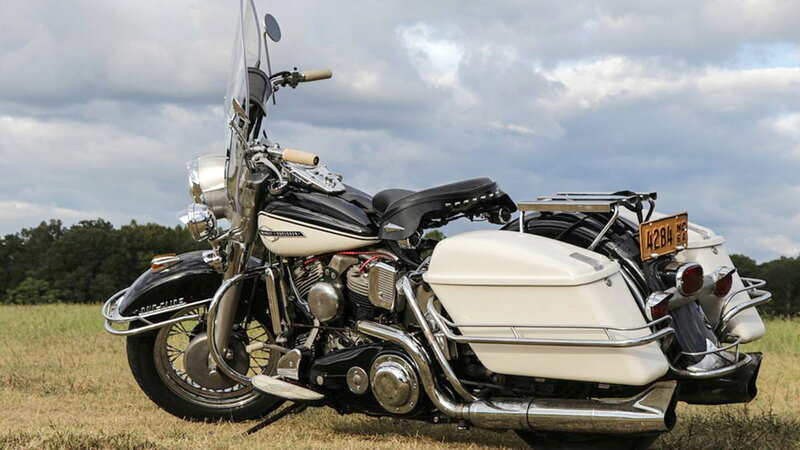 In fact, since Harley-Davidson was the sole manufacturer of American-made motorcycles, the Duo-Glide was the only Big Twin on the market. First introduced in 1958, the Duo-Glide was soon replaced by the Electra-Glide in 1965. Despite its brief production run, the Duo-Glide is arguably the precedent for all modern V-Twin Touring motorcycles. The Duo-Glide was produced during Harley-Davidson's halcyon days — of sorts. The brief window of financial prosperity enjoyed during the 1950s was drawing to a close. Struggling to compete with mid-weight British imports, the Motor Company went public in 1965. By 1969, the financial situation was dire and Harley-Davidson was acquired by American Machine and Foundry (AMF) — a leisure product company. >>Join the conversation about the FLH Duo-Glide right here at HDForums.com! The revolutionary feature of the Duo-Glide was its full suspension system. The redesigned frame incorporated a swingarm and twin rear shocks with three settings — solo, heavy, and two-up. Until the Duo-Glide's introduction in 1958, all Big Twin frames had a rigid rear or 'hardtail' configuration. The tubular chrome shocks were slotted between the trapezoidal toolbox and the fiberglass side bags. 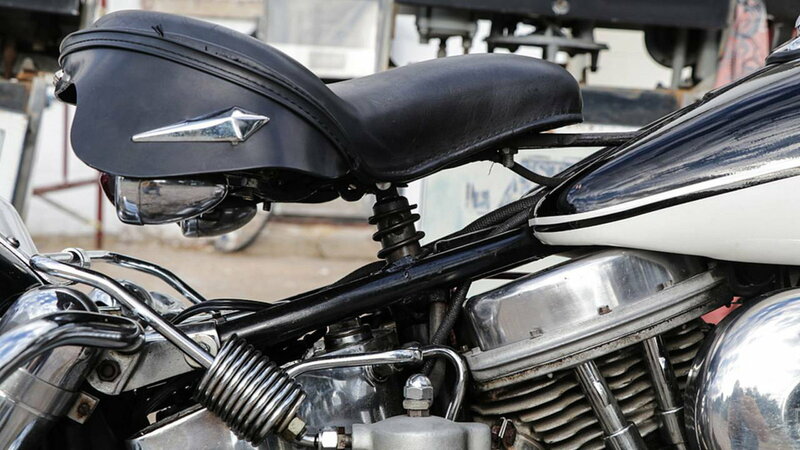 The Panhead motor propelled the Duo-Glide for its entire production run. Known then as the OHV, the engine was offered as both the low compression 61-cubic inch version, and the high compression 74 cubic-inch version. 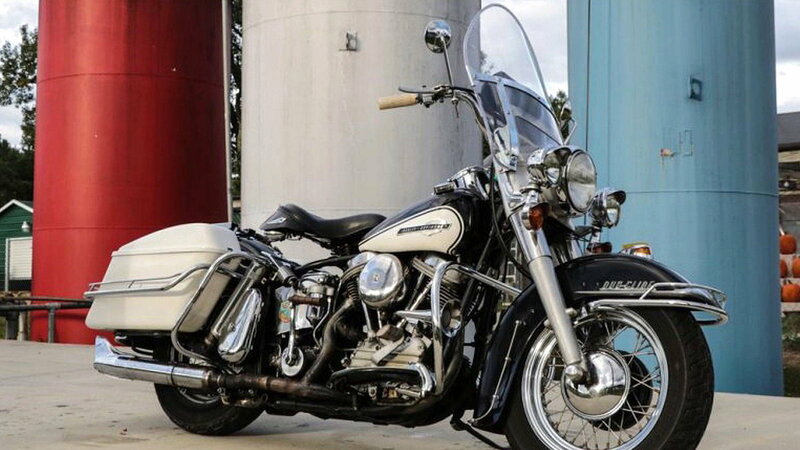 Favored for its ease of starting, the 61 cubic-inch motor was mounted to FL series motorcycles, while the hotter 74 cubic-inch motor was bolted into the FLH series machines. 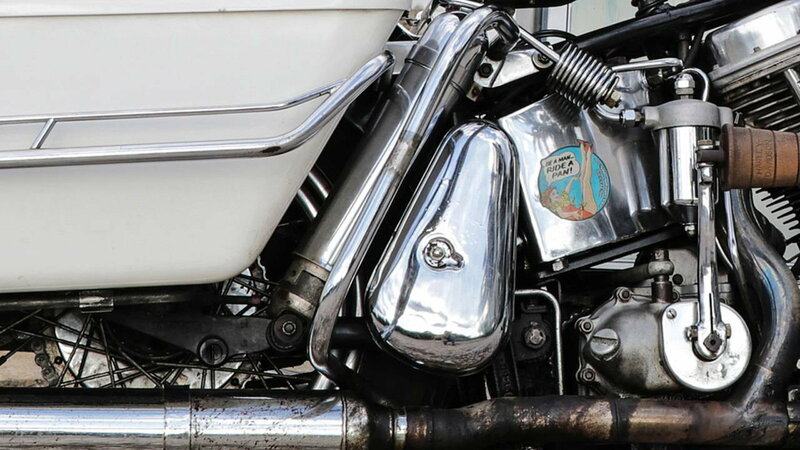 From 1961 to 1964, Duo-Glides featured a dual point ignition system with points and coils for each cylinder. Timing was still manually controlled by rotating the left-hand grip to either advance or retard the timing. 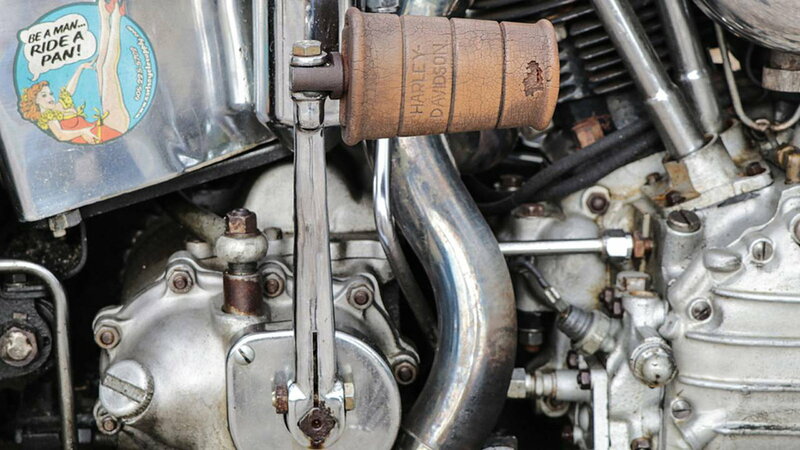 All Panhead motors were connected to their four-speed transmissions via a chain in an enclosed primary — a setup that is now often changed to a belt to lower vibrations at highway speeds. The Duo-Glide had a cable operated front drum brake — the under-performing norm of the day. 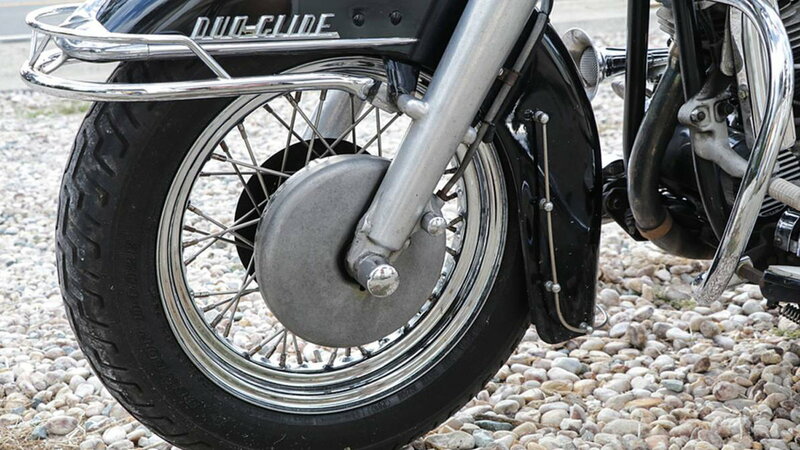 Known as 'juice' brakes, the Duo-Glide was the first Big Twin to use a hydraulic brake rear brake. Big Twins did not receive front disc brakes until 1972. The Front suspension was unchanged from the Hydra-Glide apart from the addition of a cast aluminum headlight nacelle. Even though the Duo-Glide had full suspension, it retained the telescopic sprung seat — a design that originated in the early-1920s. As a holdover from the hardtail era, the seat was attached to a spring-loaded tube that fitted down the center of the frame. Visible in the image above is the chrome 'buddy spring' that could be attached to the seat for extra support, or if the longer two-up Buddy Seat was installed. Despite having full suspension, the Duo-Glide did not have an electric starter. That luxury would arrive with the Electra-Glide. It required a strong leg to kick over the FLH models as the 'H' designation stood for 'High Compression.' The factory starting procedure for the Duo-Glide was to apply choke and gas and make a few 'priming' kicks. A final kick with no choke, the timing retarded, and the ignition on would start the motor. The integrated center console or 'dash' was introduced in 1936 with the EL. 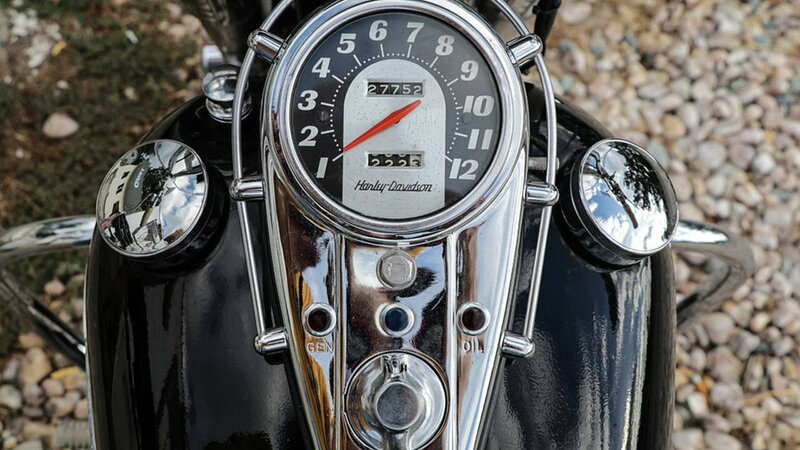 The distinct dash design is a fixture that has been retained on Harley-Davidson Big Twins ever since its introduction. The Duo-Glide dash featured a large speedometer, neutral, oil, and generator indicator lights, and a lockable ignition switch. To the upper left of the gas tank, just to the left of the speedometer, is the screw-in fuel shutoff. The Duo-Glide excelled in its natural habitat — the highway. At 670 lbs, the Duo-Glide was a stable and planted machine that could easily cruise at 65 mph. 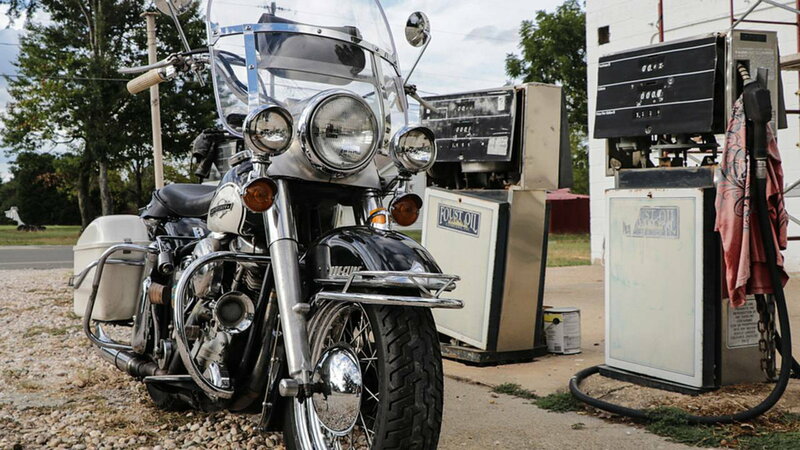 The Duo-Glide's significance is that it straddled the line between old and new designs, and in a similar fashion, the Duo-Glide evolved into the Electra-Glide. 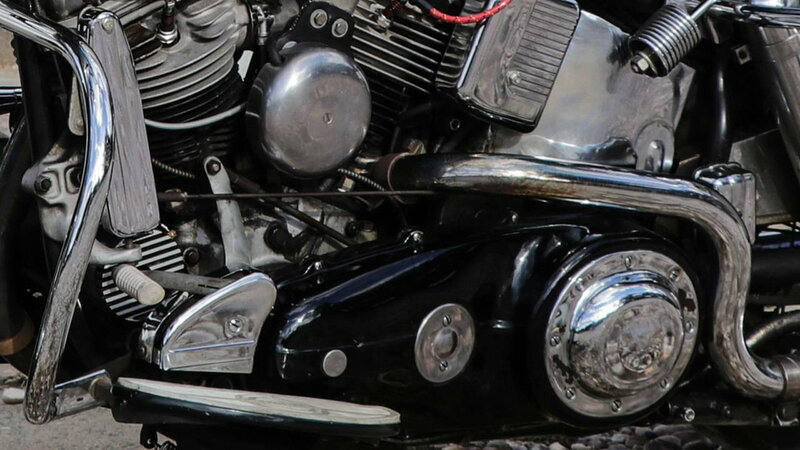 By 1965, the Motor Company had set the standard for all modern touring motorcycles to follow.